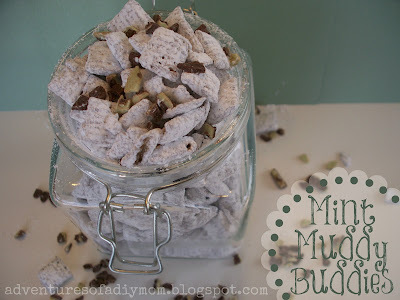 I love Muddy Buddies. I don't make them very often, because I can eat it all myself. I've seen a lot of variations. 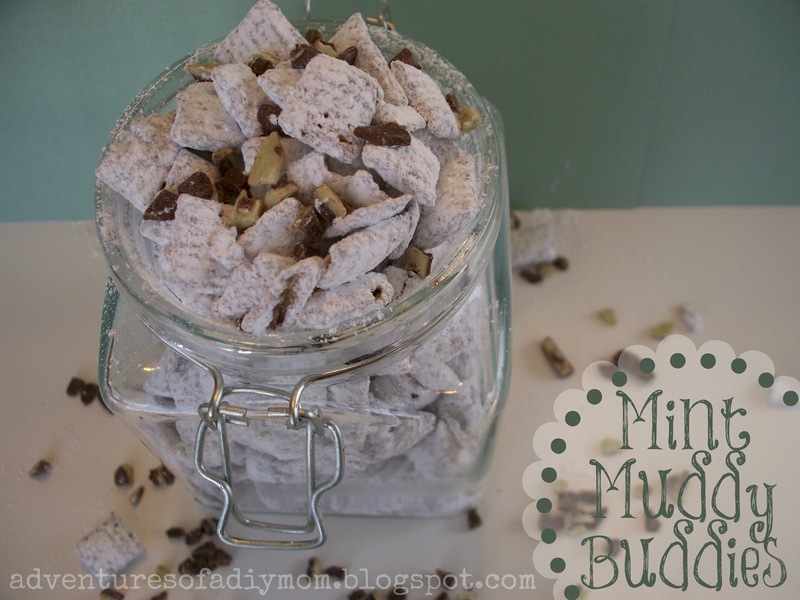 I've tried the cake batter Muddy Buddies and love them too. I'm not one to experiment too much in the kitchen. I love to bake, but I like to have a recipe to follow. But when I got the idea to try a Mint Muddy Buddy, I figured it was an easy enough recipe to alter. To me, mint seems like a Christmas flavor. This would make a super quick neighbor gift. There are only three ingredients. The only thing I would do different is to make a double batch. With six people in our family it didn't last us very long at all. Melt chocolate, pour over Chex and mix. Place powdered sugar in a zip top bag. Add Chex mixture to bag. Zip closed and shake until it's all covered with powdered sugar. Enjoy! These look great and so easy! Will definitely try them. Found your blog at Delicately Constructed blog hop. 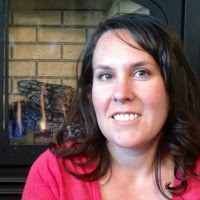 New GFC and Pinterest follower. Thank you so much for sharing this at Wednesday Extravaganza! Hope to see you there again this week with more deliciousness! Ooh! Mint...what a good spin on a classic!